Walk into Billy’s Bakery and one is instantly transported into a small town, homey, old-fashioned bakery. 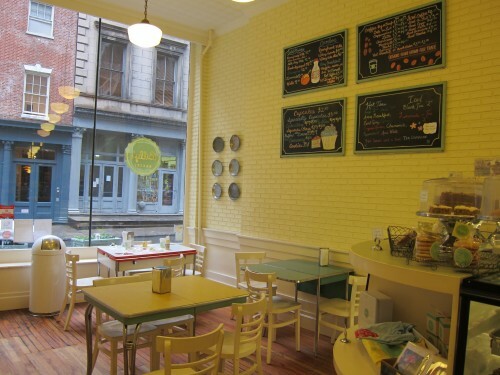 The décor is in soft pastels and the food takes you back to an era of homemade desserts – made from scratch. Billy Reece branched out from Magnolia Bakery, in 2003 to create his own legacy in the world of sweets by opening Billy’s Bakery. 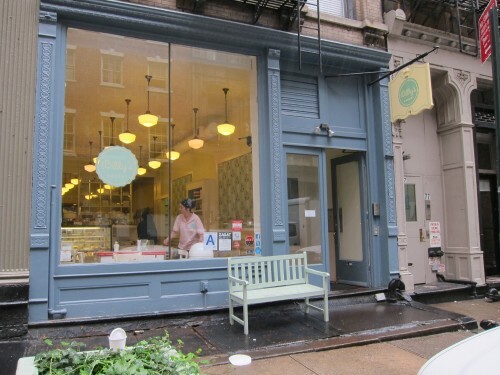 He now has two outlets, his flagship one in Chelsea and another in Tribecca. 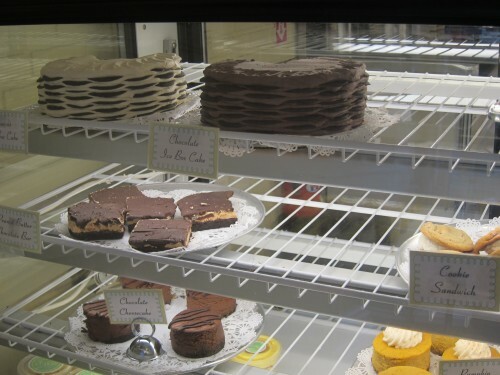 The traditional icebox cake is supposed to be one of the star desserts at Billy’s Bakery. I tried a host of different cupcakes. 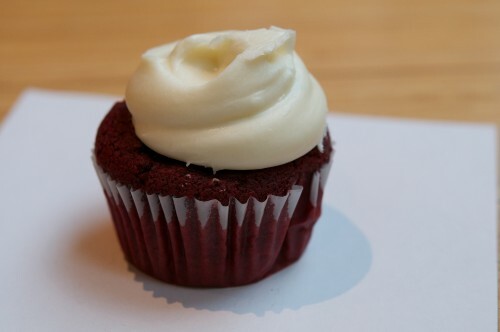 I wasn’t very impressed by the red velvet or chocolate cupcakes. Whilst the frostings were good, I found the cakes to be too dry – one of them was actually burnt. 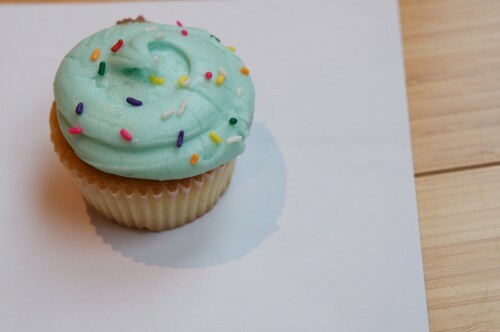 The vanilla butter cream cupcake also didn’t leave much of an impression – it was quite average. 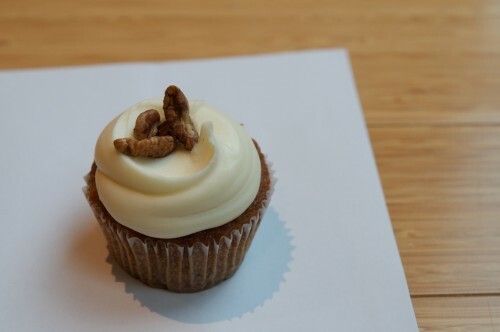 Of all the cupcakes I tried, I thought the carrot cake cupcake was outstanding. The cake was perfectly moist and the cream cheese frosting was amazing. 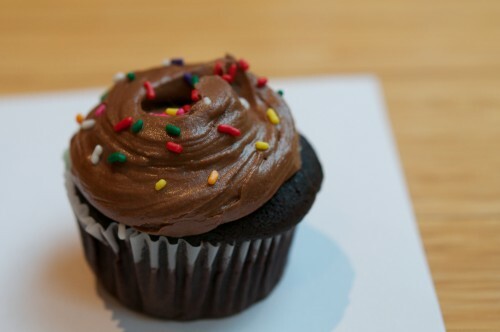 That’s the cupcake that is going to keep me going back to Billy’s for more and more…. This entry was posted in DESSERTS/COFFEE, MANHATTAN, NEW YORK CITY, Tribeca and tagged best carrot cake cupcake stores in New York City, Best food in the Tribecca for dessert cupcake, best food spots in Tribecca for dessert cupcake, best places to eat in Tribecca for dessert cupcake, Best restaurant in Tribecca for dessert cupcake, Best restaurants in the Tribecca for dessert cupcake, Billy’s Bakery ratings, blog posts on Billy’s Bakery, blogs on Billy’s Bakery, critics reviews on food at Billy’s Bakery, cupcake stores in New York City, food ratings Billy’s Bakery, how is the food at Billy’s Bakery, how was your experience eating at Billy’s Bakery, rate the food at Billy’s Bakery, Reviews of Billy’s Bakery, top 10 carrot cake cupcake in New York City, Top 10 cupcake stores in New York City, Top 10 eating spots in Tribecca for dessert cupcake, Tribecca for dessert cupcake, what are the best dishes at Billy’s Bakery, what to eat at Billy’s Bakery, what to order at Billy’s Bakery, where do you get the best cupcake stores in New York City, Where to eat in the Tribecca for dessert cupcake, where to eat in Tribecca for dessert cupcake, would you recommend Billy’s Bakery. Bookmark the permalink.